Report from Stinson Beach, California. Is Pluto a planet? Treasure hunt coming! 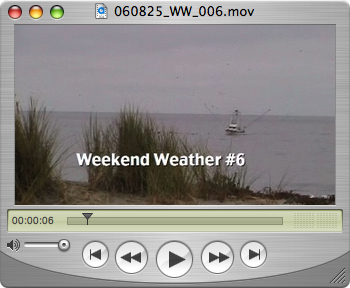 Weekend Weather is now on YouTube! We’ll be launching our own site soon too! Well done, guys! Can’t wait to see the new site! Pluto is not a planet. He’s a big orange dog with floopy ears! Hey guys, I didn’t realize what hard work it was to record the weather each week. It was great to see you working on episode #7. I hope you know how much we appreciate your work and look forward to each week’s installment! Good job!